ZTE Grand X Quad now available in the Philippines! With so many brands of smartphones in the market today, choosing the best smartphone can be a daunting task. Consumers need to think through several factors including brand, performance, price, carrier, reliability, and more. ZTE, one of the top rated high-tech enterprises of the world developing continues to roll-out quality affordable smartphones yet packed with powerful features. Cited by Digital Trends as the third most popular smartphone maker in the US and one of the top five brands worldwide based on independent surveys conducted by ABI Research, Canalys, and Gartner, ZTE now covers every price and feature level with world-leading handsets from the entry-level ZTE Blade Series to the mid-level ZTE Skate and now the high-level ZTE Grand Series. ZTE Blade is the biggest selling Android phone in China and is available in more than 50 countries with over 10 million units sold. ZTE Skate which made a local debut last year through MSI-ECS Philippines, exclusive distributor of ZTE phones is available in more than 30 countries while the ZTE Grand Series has recently been launched in countries like China, Turkey, Switzerland and the UK and the Philippines. 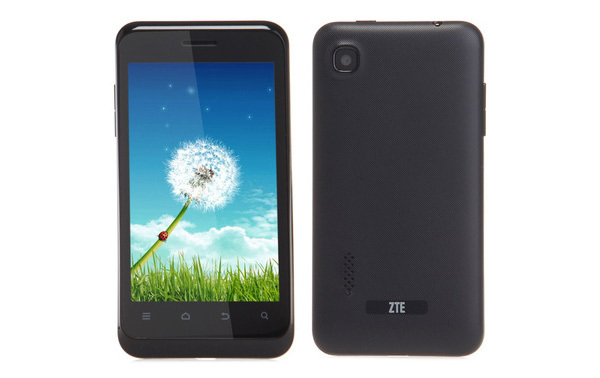 ZTE Grand X Quad is a dual SIM-card phone, Quad-Core 1.2GHz processor, running Google Android 4.2 .a simple yet highly efficient smartphone. It features a 8 megapixel of primary camera with many great features like LED Flash, autofocus, touch focus, Geo-tagging and face detection. The camera of ZTE Grand X Quad V987 provides the user full HD video recording of 1080p with 30fps and has 1.3MP of secondary camera for video calling. It has a 5-inch display, which allows the user to play HD quality video. It also employs OGS technology helping the screen remain clearly visible even in bright light. Availability/ Release Date: Now available nationwide! 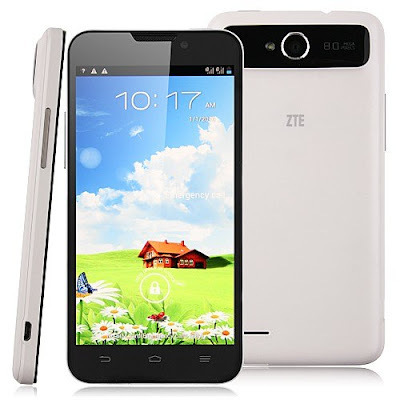 The ZTE V956 is really an attractive quad-core 3G smartphone. It runs on Android 4.1 OS, and is powered by Qualcomm Snapdragon MSM8225Q quad-core 1.2GHz CPU and 512MB RAM to ensure its running more stably. It is dual SIM capable, and is fully compatible with worldwide quad-band GSM and WCDMA 3G networks for making phone calls. 4.5-inch (854x480) pixels capacitive multi-touch screen will make your operation more conveniently. It supports WiFi and WCDMA 3G networks for surfing internet, and also supports wireless Bluetooth for data transmission and hands-free calling. ZTE Blade C V807 is equipped with 4-inch 16 million color TFT screen. In addition to 4GB built-in capacity, but also can support up to 32GB of external memory card, can be easily stored movies, music, pictures and games, anytime, anywhere to enjoy digital entertainment life. 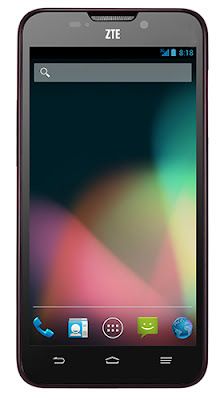 ZTE Blade C is preloaded with Android Jelly Bean OS, dual-core 1.0GHz processor with MediaTek and a 3.2 megapixel camera, the design can fully meet the entry-level users for high-cost smartphone requirements. The newly released ZTE smartphones demonstrates ZTE’s commitment to develop and manufacture quality handsets featuring latest mobile technologies without the high-cost of innovation. ZTE smartphones allow you to play high-definition movies, take high-resolution photos, switch between apps fluidly, increase productivity and ensure stable and faster connections.